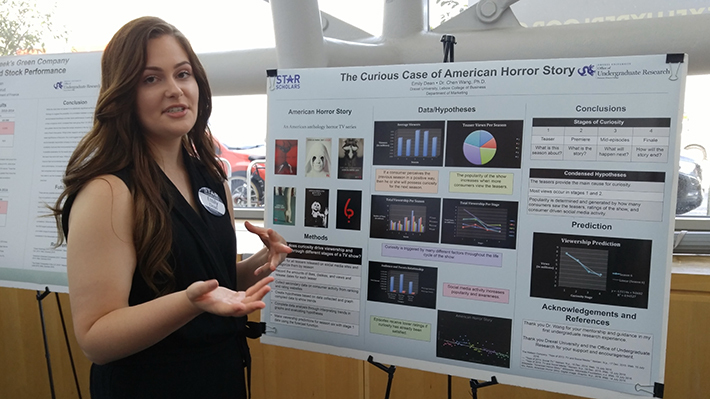 The STAR (Students Tackling Advanced Research) Scholars Program allows first-year students to participate in faculty-mentored research, scholarship or creative work during the summer after their freshman year. Students across the university are invited to apply for the program. Participants research topics relevant to their active field of study. LeBow students in the past have worked on various topics from protecting your cellular devices with antivirus software to trends in CEO turnover rates within Fortune 500 companies. STAR Scholars work full-time during the summer term while living on campus and earning a stipend. This is a great opportunity for freshmen students to get to know faculty, explore a major in a particular field and gain practical skills and valuable research experience. To learn more about STAR Scholars click here. 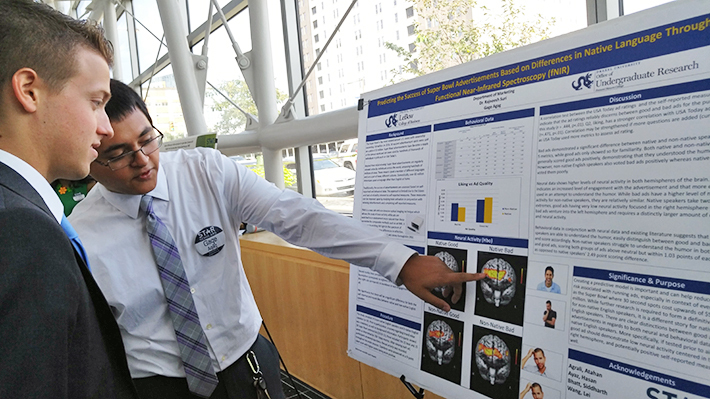 STAR Scholars from LeBow shared the findings of their summer-long research projects at a closing poster session on August 25. A company whose CEO is an effective communicator is likely to have a stronger performance, according to STAR research conducted at Drexel LeBow. LeBow sophomore Raymond Farnesi explored the increase in shareholder activism with faculty member David Becher as part of the STAR Scholars program. As a part of the STAR Scholars program, freshman Lawrence Garber spent his summer researching trends in payment technologies. Drexel LeBow sophomore Irina Nedelcu completed a STAR research project last summer, studying which factors influence people to take self-protective actions with their smartphones.